Let's face it: options for outfitting the Nexus line with covers and cases have been rather limited (and pricey) coming directly from Mountain View. That could be about to change though, as Android Police reports that a new option could offer a major boost in custom accessories. 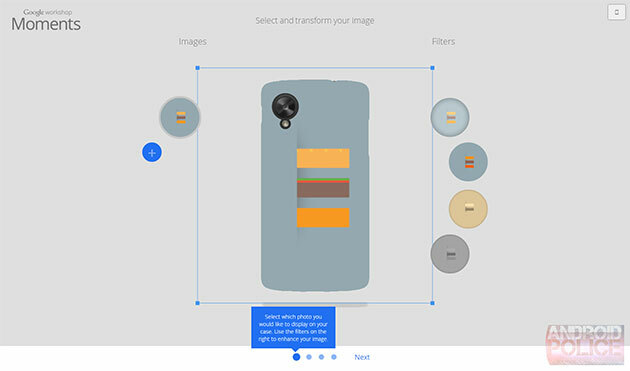 The so-called Google Workshop will allow you to create your own case for the Nexus 5 based on either a location map or an uploaded photo of your choice. A live wallpaper is said to accompany that latter option too, so you can keep a consistent theme for every customizable spot on that handset. Right now, it appears that the fifth Nexus phone is the only device privy to the treatment, so we'll have to wait and see if that popular 7-inch tablet gets its own new digs. Unfortunately, there's no indication as to when the Workshop will go live inside Google Play or how much the cases will cost.